Tidalimpex deals only with quality products. 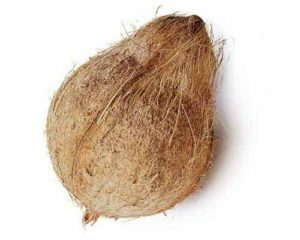 We source all our semi husked coconuts from reliable coconut forms and make them available at reasonable rates as we have been in this business for a considerable time. Tidalimpex is APEDA certified, GAP certified, and accorded the required quality certifications from the Ministry of Trade and Commerce – this stands as a proof that the semi-husked coconuts we supply are of premium quality. It is important that as a buyer you check for packaging. We always use the latest packaging techniques that help preserve the quality of semi husked coconuts procured from us. Otherwise, the product would start to decay by the time it reaches you. Packaging is the key to quality and tasty coconuts. Because semi husked coconuts don’t have much husk or fiber, they tend to get damaged easily. We store them in the right temperature for a prolonged shelf life. We supply our coconuts with quality bags having high tensile strength. We also customise package depending upon the customer needs. What is Coconut Shell Powder? What are the uses of Coconut Shell Powder?